So you’re looking for some deck building advice, but most guides are extremely specific, requiring cards you just can’t afford / don’t own? Zootgamer has been playing a lot of Hearthstone lately, and we’re here to help. 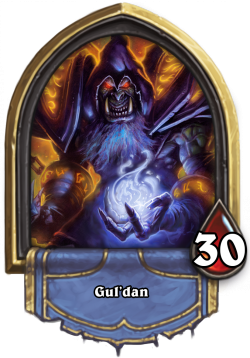 We present to you our ALL AROUND GUIDE TO MAKING A GOOD GREAT HEARTHSTONE DECK. Read on to find out how to choose the best class for your play style, as well as all the general tips and tricks you need to make the progress in Ranked mode you’ve been seeking. After you’re done, read on to PART 2 for more Hearthstone goodness. The first thing you will need to choose is a class of course, and there are pros and drawbacks to every class out there. Beyond the listed benefits and drawbacks of each class, it is important that you choose the one that best fits YOUR play style. To assist you with finding your perfect match, you can play against the AI (beginner AND expert levels) to see your class in action before battling a real human. Pro – One of the best hero powers out there, Fireblast deals 1 free damage to anything you want without taking damage yourself. Extremely powerful in early game board clearing, as well as knocking out Divine Shields. 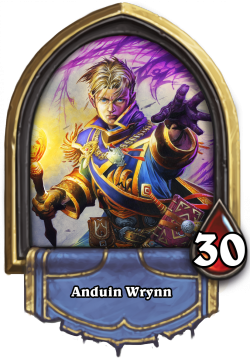 Mage is a great all around class for the beginner player, it’s nowhere near lacking in high damage cards, and with minions adding spell damage the spells only get stronger. Con – With all the powerful spells a Mage can use, it’s easy to get out-minioned as one must be very careful to not spend all their mana towards clearing enemies and not putting their own minions into the battlefield. This is one of the most common mistakes made by overly confident Mage players. The Mage is also lacking in draw cards, Arcane Intellect allows you to draw two cards, but provides no other benefit, so again, the opponent is getting more chances to stack up minions while you are not. The downside to the lack of draw cards is most obvious endgame, when you may have not a single card in your hand, in which case your strategy has transformed into wishing on good luck, instead of having options. Pro – Imagine having the power to draw cards whenever you want, with Warlock you can! Well, you can draw one single card, and you take a little damage EVERY TIME you use your hero power, but with all the advantages Warlocks have with demon type cards, it just may be well worth it to draw those bad boys. With a few spell damage minions, the warlock can bring an enemy hero to it’s knees with super high damage nukes that can bypass all taunts in place. Con – Aside from taking two damage every time you use Life Tap, many of the Warlock expert minion cards do damage to the Warlock as well, granted, the cards are extremely powerful, therefore it’s all about balancing your HP loss with your damage gain. For these reasons, Warlock is usually best left to the pros. Pro – Defense, defense, and more defense. With a hero power that gives +2 armor, AND stacks, it may be difficult to penetrate a Warrior’s armor alone during a match if you play your cards right. Get it? Aside from armor, the Warrior is the best at having an army of minions buffing one another, stack this with enraged minions, charged minions, and taunts and it’s even more difficult for an enemy to prioritize their mana towards directly attacking you. Warrior has the most powerful weapon cards of course, and the buffs to back it up. Keep that armor a-stackin’, and keep that weapon a-swingin’! Con – The Warrior doesn’t have a ton of board clearing spells, so one must take extra caution to not overextend around spell classes like the Mage. Whirlwind and Cleave deal damage to multiple enemies but they aren’t very high damage. 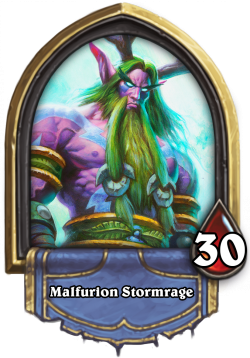 As the norm for Warrior classes, you must choose to prioritize tanking or damage dealing, and you don’t have a ton of spells to cut through an enemy’s taunt cards. However, with weapons like Arcanite Reaper dealing five damage, and a ton of weapon buffs, who needs those silly Mage fireballs? Pro – One of the best classes to take advantage of the neutral cards, Hunters have a huge advantage when it comes to beasts, Hunter can quickly take cheap cards to a whole ‘nother level with a few well times Hunter beast cards. The Hunter’s hero power is not so shabby either, doing two damage directly to the enemy hero no strings attached, no damage taken. A wonderful way to erode their HP down throughout the course of the game. Con – Unfortunately while the hunter hero power is extremely useful for chipping at the enemy hero, it doesn’t do much else. You can’t attack anything else, or draw with it. 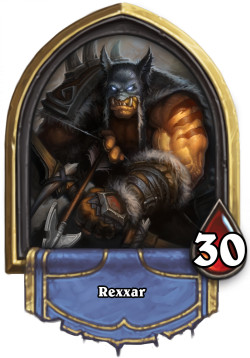 Also, while it’s amazing to see a whole army of beasts ready to attack the enemy on your command, many beasts also have low HP, including useful Hunter cards like the Dire Wolf. It’s important to protect the beast cards that buff all other beasts, but it’s also good to balance this by having so many beast buff cards that losing a few won’t destroy your strategy. Pro – Druid is a very interesting and fun class to play, their hero power is somewhat similar to the Rogue’s 1/1 dagger or Mage’s one damage dealer, with Shapeshift the Druid gains one attack as well as 1 armor. While this means the Druid will take damage from any minion with an attack higher than one, it also means that if the Druid attacks any minion with an attack of zero, for example, the enemy hero, he will save his armor, and the armor stacks. 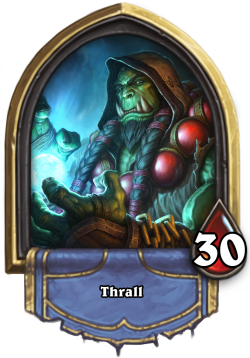 Another interesting thing about the druid is the many cards he has access to that will permanently, or temporarily, cause you to GAIN mana. This is super important, as this means highly powerful spells and minions can be used long before the enemy is anticipating them. Con – The druid has a little bit of everything, and with all balanced things, this means it’s not particularly specialized for healing or damage dealing, it’s important to have a real strategy with Druid. Don’t just go throwing all the Druid cards into the deck without first thinking about how the cards will synergize well together or you will be kinda prepared for everything but not the best in anything. Pro – Shamans can add a minion to the board with their hero power just like Paladin, except the minion will come with a surprise of it’s own. A healing, taunt, spell damage, or attack buff minion will be summoned randomly, which is great for board control, healing, synergy, and many of the other elements required for a great game (more on that in part two of this guide). Those totems can be EXTREMELY annoying to the enemy, or worst, the enemy may underestimate their power, passing up the chance to destroy a healing totem with zero attack in favor of another, scarier minion on your side of the battlefield, leaving you ready to super buff the heck outta those totems. Think : Totemic Might. If you manage to fill up the battlefield, a turn or two of Bloodlust just may win you the game. Con – Your totems are generally weak, so it’s important to protect them with taunts or other minions. The Shaman class probably has the least number of board clearing spells, this is very important because it means you must avoid having the fewer number of minions at all costs. It’s up to you to balance your minions with totems that will heal and protect them. While there are some powerful spells in your arsenal, everything comes with a price however, and while it may seem like the best thing to due is blast the enemy with all the damage you can, the cost is that many of these cards will cause Overload. The amount you are “overloaded” is the amount of mana you do NOT have access to for the next turn. Many noob shamans are unable to attack in the crucial first turns of the game because of Overload cards being used prematurely, making it difficult to ever regain the necessary board control to win the game. Pro – Paladins are one of the best classes to use for overwhelming your opponent with minions. Their hero power puts a 1/1 minion on the board. 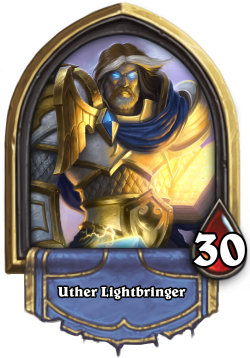 It’s best to use this as much as Paladin-ly possible, adding taunts to keep your other minions from getting attacked, as well as buffs and divine shields is a sure fire way to force your enemy to burn through all their nuking power just to try and get to you. Con – You may have many minions, but they are still weak, board clearing spells can easily destroy all the work you’ve put towards having a full board, so it’s important to remember never to overextend yourself. 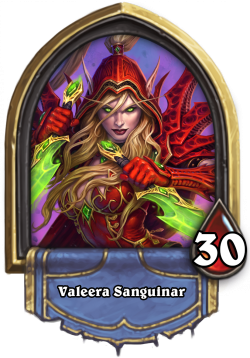 Sacrifice those 1/1 Silver Hand Recruits when needed, but don’t leave yourself open by relying too heavily on them. High damage minions are essential. 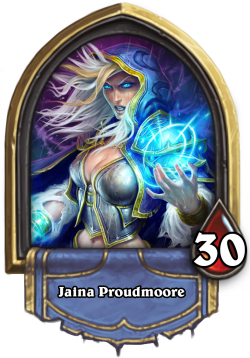 Pro – The sneakiest of all classes, since the Rogue is capable of equipping a 1 attack / 2 durability dagger whenever she pleases, there is a similar board clearing capability to the Mage. However, with all the cards that increase weapon damage, and give bonuses to minions when a weapon is equipped, the Rogue can very quickly become a major damage do-er with very little mana. There are also many Rogue spells that destroy a minion, no questions asked. Con – The Rogue can be a little difficult to master, and one must always remember that unlike the Mage YOU can take damage from other minions with your hero power. The rogue does not have many heals, it’s all about avoiding the damage in the first place, high damage, vulnerable classes always need some good tanks, or in this case, taunts. Pro – The spells are insane. Destroying minions with less than three attack, or minions with more than 5 attack, are great ways to get yourself out of a sticky situation. Then there’s the heals, oh the heals. A priest can use his hero power to heal himself OR a minion. 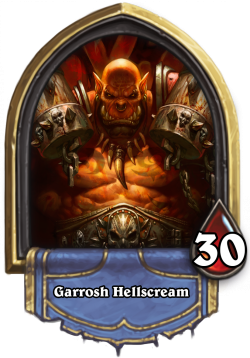 Cards that extend a minions health are crucial to any pro priest, and will leave your opponent feeling overwhelmed very quickly. Con – Similar to the Mage, one of the fatal flaws with the Priest is the temptation to use all these wonderful spells to destroy and heal, without filling up your side of the battlefield. Self restraint is key here, as are taunts. Think of it as any other game with a healing class, tanks are mandatory.It’s important as a priest to not be fooled by the thought of never ending heals, you can heal all game but without damage you just can’t kill the enemy hero. Now that you have chosen a class, it’s time to take a look at the key elements needed for EVERY class in a Hearthstone deck. Click HERE to read on to Part 2 for more.